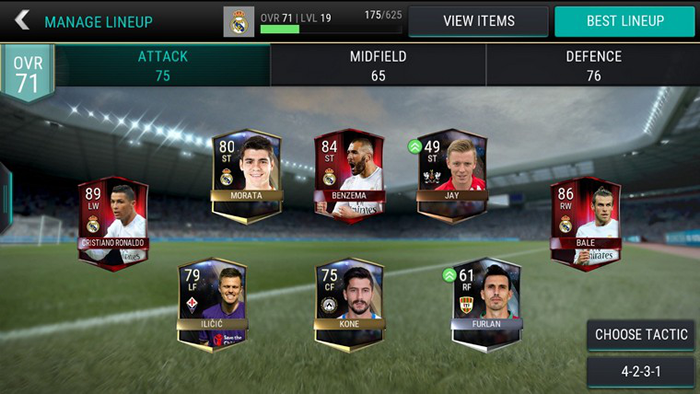 How Can You Earn FIFA Mobile Coins? FIFA Mobile is a very entertaining, fun game designed to provide you with many hours of entertainment and excitement. 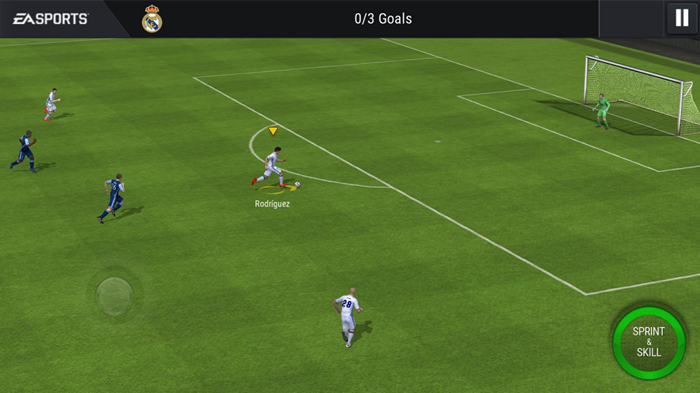 The primary purpose in this game is to try and create your own team and win various football matches. You will enter many tournaments and you will have to do all in your power in order to win! With help from FIFA Mobile coins, you will be able to make the game even better and more interesting! The game does an incredible job when it comes to bringing you around 650 teams and 30 leagues without a problem. You will have to do all you can to turn your team into a very powerful opponent. But to do that, you will require as many FIFA Mobile coins as you can get. And that's where you need to understand how you can get as many coins as possible. Here you have a few great ideas to keep in mind! The nice thing when it comes to getting FIFA Mobile coins is that you can always start a new season. Granted, you have to finish the previous one. However, you get 400 coins per draw and 800 per win. So this is nice. You can always get some new trophies too, and there are a variety of other bonuses that you can access too. Things like this make the game quite enticing and rewarding, so you may want to keep that in mind. Being active while playing the game is very fun, and that is quite important, to be honest. Use this idea, and you will get to earn a lot of cool stuff as you play. Plus, you get to stay away from any potential challenges as you play, which is also exciting in its right. You will see that FIFA Mobile does have some live events each day. Those events are designed to make you come and play on a daily basis. Aside from making you addicted to playing more and more, you will see that these events offer you a coin bonus for completing the first event. You will also get to replay some of the live events too, which means that the game is rather fun. So, playing live events can be very interesting, and you should consider staying away from the attack mode for the time being. The idea is to try and get as many coins as possible; then you can dial down if you want. It works very well, and it is one of the better ideas to use. Keep in mind that this type of idea will not work unless you have a lot of time to play here. You will need to first set to game market filters. You will see players that are marked 70 and above. These players are very good, and you need to get them at anywhere from 500 to 1800 coins. You can go up to 2500 coins if you want to get some of the players that bring in value. The idea is, as you may imagine, to purchase players for a low price and sell them for a profit. This works, and it will help you quite a lot, to be honest. You have to keep in mind that you can quickly sell players to other managers if you want. The idea is to know how to increase the price. Don't overprice that player. A subtle price increase that will give you a couple of extra coins will help quite a bit. Plus, it's the best way to get your FIFA Mobile coins without having to wait a very long time for selling it. Raise the Bin price with a few hundred coins; it will work. A timer of 7-9 hours will be more than ok. This way you will encourage people to purchase the player fast and easy. Usually, there are lots of customers for you, and you can rack up an incredible profit margin in the end. The profit can be high, but you will need to have some coins to start the investment. You just have to focus on using only players that have a very high rating. Otherwise, you will end up having quite a bit of problems. Keep in mind that this may not work out all the time, as players can get expensive when the game gets older. But it does work now. Yes, one of the best ways to actually get more FIFA Mobile coins is to play the game. When you level up, you will receive a lot of cool stuff, including coins. You can get 500 or more coins for each level, so there are lots of money to get here. Keep in mind that you just have to play and have fun. You will end up leveling anyways, and that is an exciting thing to focus on. This mode delivers one of the fastest ways to get coins. It all comes down to how competitive the division you play in is. If you are in a competitive division, you can get some good money. You just have to go ahead and play as much as you want. Be creative and remember, the game does a magnificent job at offering you lots of rewards as you play the attack mode. Plus, it's just a ton of fun, and it works to your advantage in the end. If you can't use these methods to get the FIFA Mobile coins you need, then you should consider using one of the best alternatives out there. You can buy FIFA Mobile coins right now, and this will help you boost your game experience and take it to new heights. Don't hesitate and check out this great, unique way to play the game right away. It's by far one of the best ways to boost your game experience. Plus, investing in FIFA Mobile coins is worthwhile if you play the game often. So, what are you waiting for? Avail this offer now!